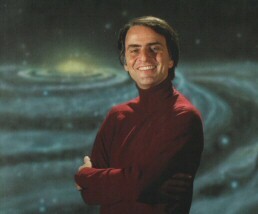 Part of the succes of "Cosmos" can easily be attributed to Carl Sagan (1934 - 1996), the series host. Astronomer, educator and author, Sagan was perhaps the world's greatest popularizer of science, reaching millions of people through newspapers, magazines and television broadcasts. He is well-known for his work on the award winning Cosmos TV series. 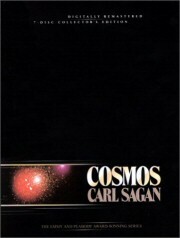 The accompanying book, Cosmos (1980), was on The New York Times bestseller list for 70 weeks and was the best-selling science book ever published in English. As an astronomer Sagan played a leading role in NASA's Mariner, Viking, Voyager and Galileo expeditions to other planets. As an educator and scientific researcher Carl Sagan held the positions of Professor of Astronomy and Space Sciences and director of the Laboratory for Planetary Studies at Cornell University. As an author Sagan published numerous scientific papers and popular articles and is author, co-author or editor of more than 20 books, including The Dragons of Eden (1977), for which he won the Pulitzer Prize in 1978. Sagan's only novel "Contact" (1985) made it onto the big screen when it was turned into a movie in 1996. Eversince the first broadcast the TV series has been re-broadcast and published in different versions. With the original series developed as a non-commercial broadcast for public television in 1980, a variety of music could and was used, ranging from from classical, ethnical and traditional music, to Vangelis synthesized pieces. This changed when in 1986 on occasion of Halley's comet Carl Sagan wanted to redo the original series and focus more on the astronomical subjects. With the status of Cosmos changing to a commercial product, this posed some difficulty due to the legal rights of the music used in the series. Therefor the music had to be changed in places where copyrighted music was heard that couldn't be cleared. In it's place, Vangelis provided completely new music, most of which can only be heard in this version of the series... 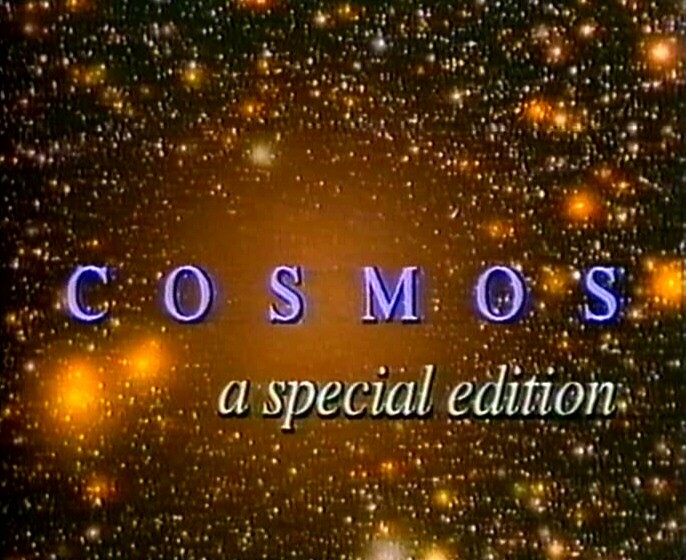 The revisited series was broadcast as 'Cosmos, a special edition'. When in 1989 the producers wanted to release the original series commercially on VHS and Laser Disc, again the legal rights of the music made it a difficult process. 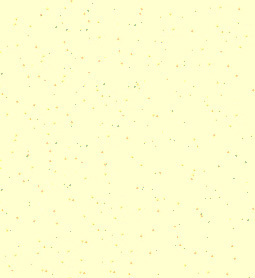 Visually this release is mostly the same as the original version, but some of the music in the original version was replaced with other music. 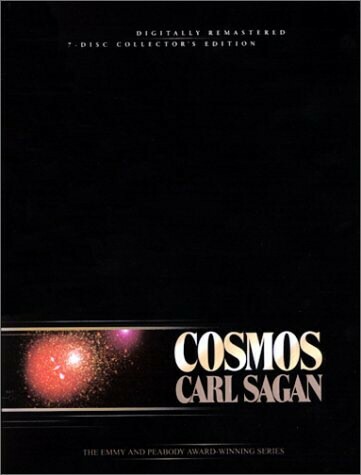 Then in 2000 Carl Sagan's widow Ann Druyan put much effort in arranging a final edition of the series on both VHS and DVD. This release has been digitally remastered, restored and enhanced, both in audio and video. Next to that it contains additional 'science update' sequences as recorded in 1990 with Carl Sagan. Visually the series uses several of the historic sequences and animations from the original series, but interweaved are also new computer animated sequences and additional scenes with host Carl Sagan. As known today, the special edition version was at least broadcast in the USA, Japan, Germany and Australia. As for the music, this version of Cosmos contains a mix of music used in the original series, together with a unique score by Vangelis, composed specially for this series... This score in some sources is also referred to as "Comet", with "Comet 16" acting as the title and ending theme of each episode. Unfortunately, only one of the total 21 cues of this beautiful score has officially been released, "Comet 16". Some of the new music also appears in the 2000 remastered VHS and DVD release. Apparently also one cue made it into the 1989 VHS release.